Slim and curvy, these V's will hug your ears with captivating ear climber style. 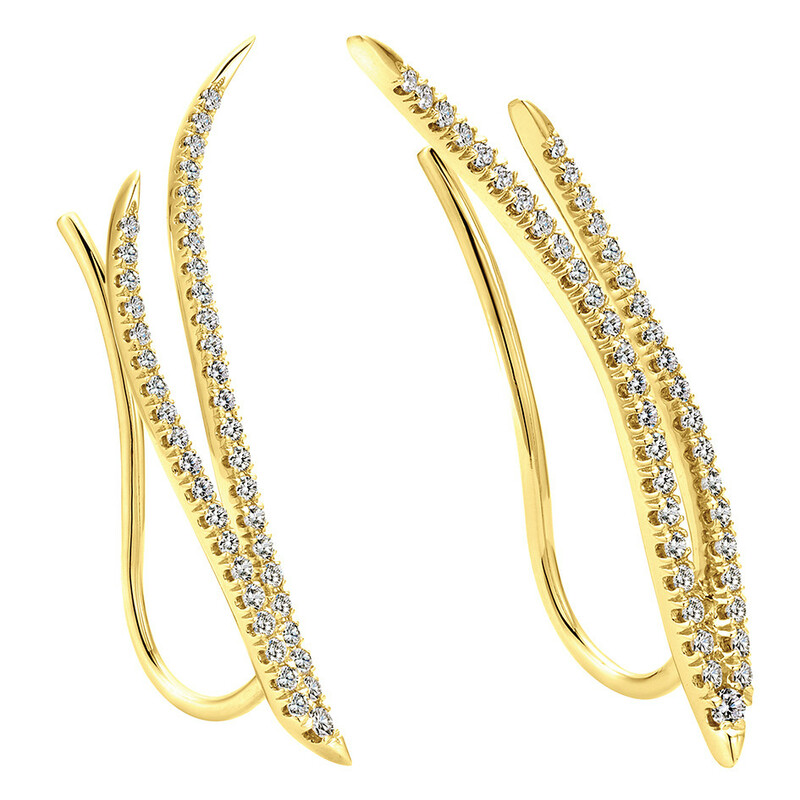 They are forged in 14kt yellow gold to follow the contour of your ear, and they are embellished with scintillating white diamonds. 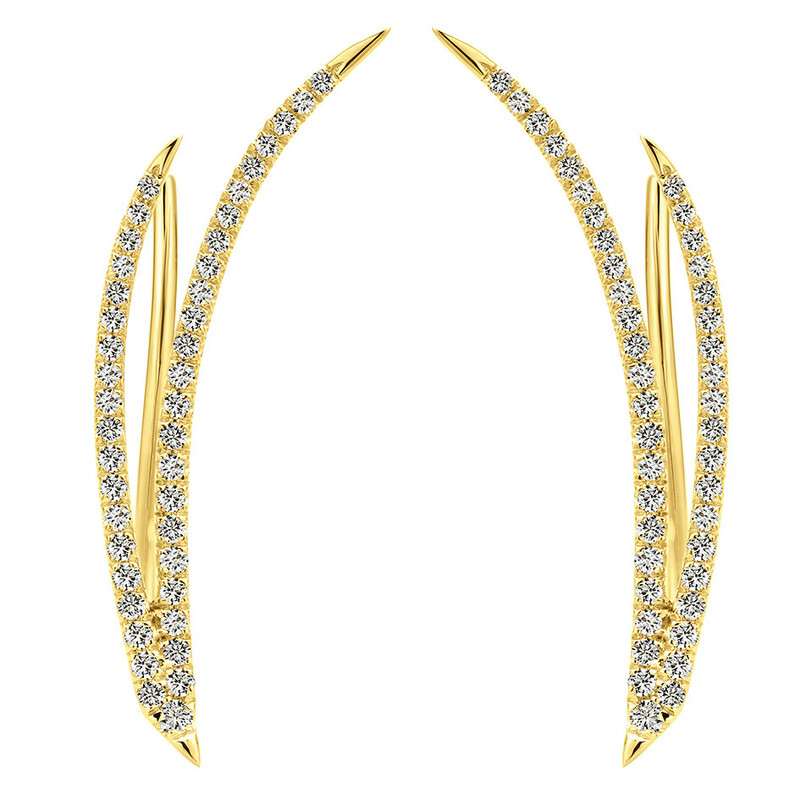 Add a unique touch of sophistication to your look with these fabulous ear climbers.